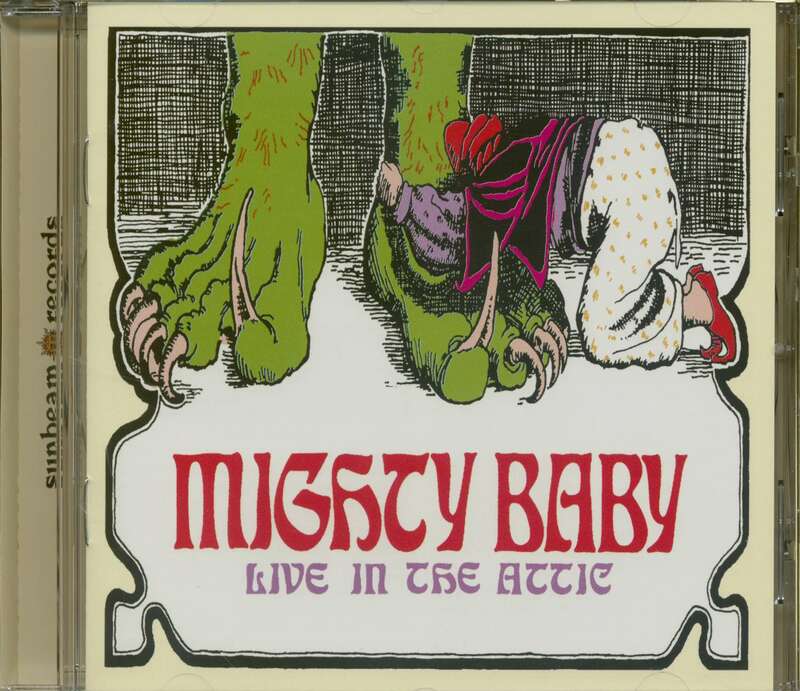 Mighty Baby are firmly established as one of the best-loved underground bands in British rock history. Combining elements of blues, folk, jazz and psychede-lia, their unique brand of experimental rock and roll is brilliantly captured on these rare recordings. Three tracks were captured live at a gig supporting US legends Love in March 1970, while the remainder were taped soon afterwards at London's Olympic Studios. 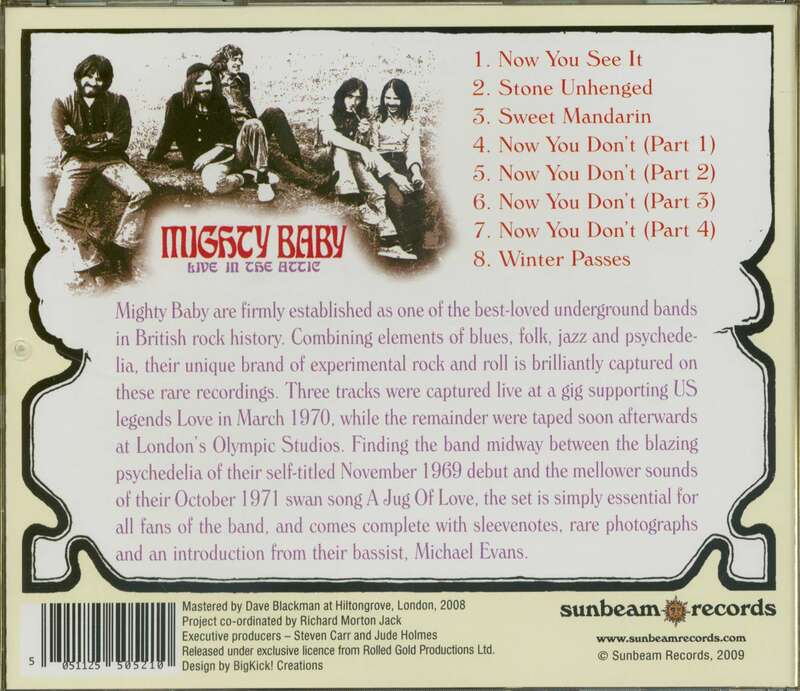 Finding the band midway between the blazing psychedelia of their self-titled November 1969 debut and the mellower sounds of their October 1971 swan song A Jug Of Love, the set is simply essential for all fans of the band, and comes complete with sleevenotes, rare photographs and an introduction from their bassist, Michael Evans. Is this the career for you? Twenty pounds a week, uncertain prospects and no luncheon vouchers. The life of a rock drummer is not necessarily an open sesame to a country mansion and Rolls Royce. Roger Powell is a good drummer and has been on the road for several years. But while he has not acquired great riches, he is happy enough rocking with a good band — Mighty Baby. This is a band that was born out of disappointments and struggle. They came up, most of them, through a group called the Action, that was once hailed as an equal for excitement to the Who — but never made it. After long periods of uncertainty and despair, Mighty Baby are now solidifying their talents and finding a direction. They may not ever become a super-group. But they will earn a living and carve a place for themselves in the group grind. Roger has been through hard times, but he is reasonably contented. "The band has been together for a year-and-a-half now, and things are picking up really well," said an unshaven Powell, sinking a breakfast Guinness this week. "It was a struggle when we started. We had no work, no agent and no manager, until we met John Curd of Head Records. We had hardly any equipment until John got us together. Ale/ody Maker, September 20111 1969 It has taken us a year to get established. The album we have just had released on Head was actually recorded a year ago, but it took a long time to get released due to contractual reasons. We've been doing quite a bit of session work in the mean-time, for Keith Christmas, Robin Scott and Gordon Smith. The music we are playing now has been very much influenced by the Band — very forceful, but relaxed. There's something about the Band's music... I saw them at the Isle Of Wight, and they're really relaxed and satisfying." 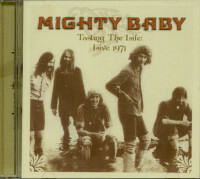 Mighty Baby consist of Roger on drums, Ian Whiteman (organ, piano, sax), Alan King (rhythm guitar), Mike Evans (bass gui-tar) and Martin Stone (lead guitar). Martin used to be with the Savoy Brown Blues Band and, says Roger: "Martin has been with us quite some time now, and he has been a big influence on the band — not so much with his music as with his personal ity. He has a lot of presence, and it rubs off. All of the band have changed a lot since the days of the Action. We are just not the same people. It's a good thing we changed the name. We didn't know what we were doing before. We got completely lost musi-cally. When we stopped doing Tamla we got lost in the psychedelic thing. But it was all experience. We are wiser now. It's like playing drums. When you start, you play simple things. Then you play complicated stuff all the time, and finally go back to simplicity." What are the aims of Mighty Baby? "If we could just do what we're doing now... we're all very happy. The last three gigs we did were very satisfying. We all want to play, and if the money goes up as well, it will go back into the music — better equipment, etc. If you don't set aims too high, you don't get disappointed. Expect something and it never happens. We've had so many let-downs in the past. People say you're going to 'make it', and then you don't. So many people told us so many lies. We think the scene is still exciting, and audi-ences are more interested in groups than ever. We find at universities they tend to sit on the floor and listen, rather than dance. Years ago it was all down to pop bands, and there will always be a place for straight pop groups, but not on such a big scale. You need bands for the younger kids, and there are bands for what we used to call the 'underground' scene — just progressive bands who want to play original music. We are doing some Indian-based music as well. 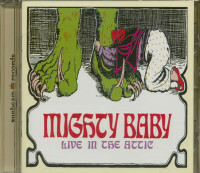 Customer evaluation for "Live in the Attic (CD)"